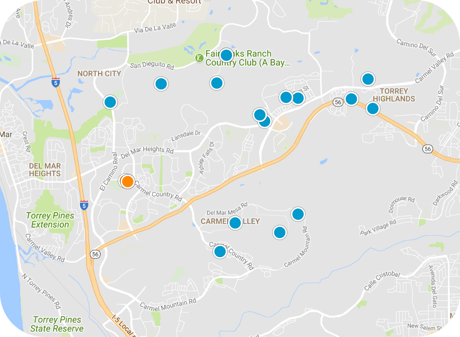 San Diego Home Sales website search offers all Carmel Valley homes, condos and foreclosures for sale. You are able to get new property listings daily that meet your search criteria. Originally called North City West by marketing challenged city planners, the master planned community of Carmel Valley located in the northern-most part of the City of San Diego is one of the most sought after upscale communities in San Diego County. Carmel Valley enjoys an ideal location, just two miles from the Pacific Ocean and immediately east of Del Mar across I-5. 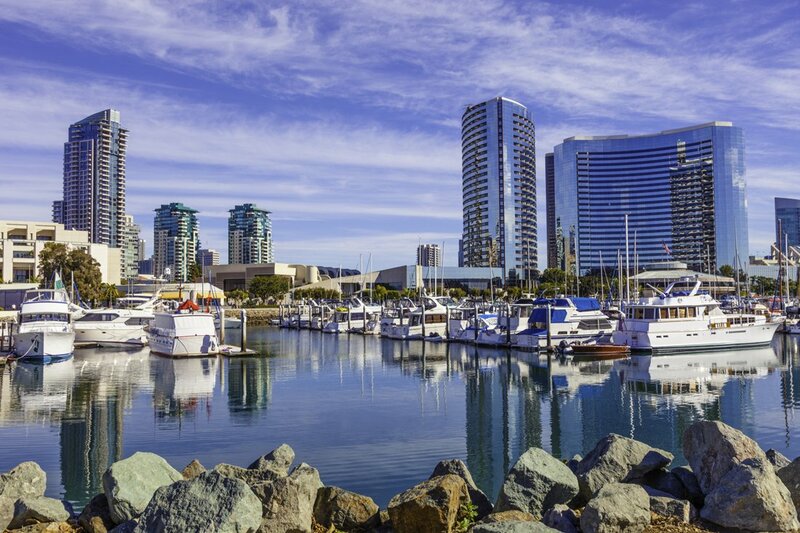 Recent improvements to the freeway provide an easy commute to Downtown San Diego. As important to the residents as its location is the quality of the local schools. Carmel Valley is served by the Del Mar Union School District, the Solana Beach School District, and the highly-rated San Dieguito Union High School District, with top-rated Torrey Pines High School and the new Canyon Crest Academy. Nearby private schools include the Hebrew Academy, Santa Fe Christian, Cathedral Catholic High School, Notre Dame Academy, Horizon Prep, Nativity Catholic and The Digueno School. Carmel Valley real estate runs the gamut from entry level condos to executive homes; horse property to mansions.